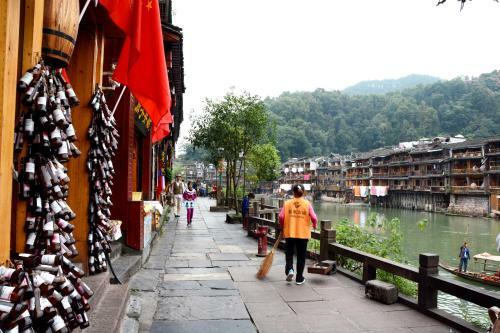 Located only a 5-minute walk to Hong Bridge and Tuojiang Rock, Xiehou Guest House offers accommodation in Fenghuang Ancient Town. The guest house is a 10-minute walk from Former Residence of Shen Congwen. It takes 1 hour to drive to Tongren Fenghuang Airport and Jishou Railway Station. 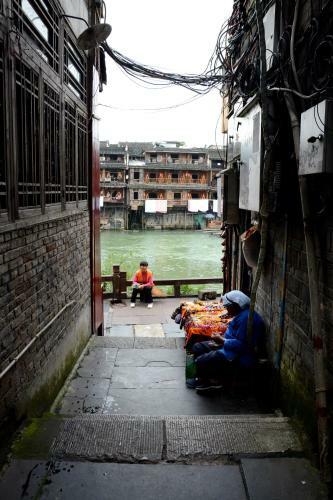 Fenghuang Xiehou Guest House offers simple guestrooms with air conditioning and a flat-screen TV. The private bathroom is fitted with shower. An electric kettle is available in every room. Rooms enjoy view from the windows. The property offers car hire and tour services. Pets are welcomed on request. Free Laundry is available. The bar area around provides various choices of food and drinks.